Do you have someone on your gifting list with particular taste in all things Geek? If so, the Geeks have your gifting playbook depending on your level of investment (how much money do you want to spend?). Below are some great gift ideas under $50, under $100, under $200 and over $200 but you can also check some geek-centric stores such as ThinkGeek, Hammacher Schlemmer and Sharper Image. Enjoy! Right now, the Google Chromecast HDMI Streaming Media Player is only $23.99 at Amazon (normally $35). The Chromecast allows you to stream online video, music, photos and more to your TV using your smartphone, tablet or laptop including a number of apps like Netflix, YouTube, HBO Go, Hulu Plus and the ability to cast a Chrome Browser tab. Even if a Geek has one, you can’t go wrong getting them a second. Alternatively, you could take a look at Amazon’s new Fire TV Stick for $39. The Fire TV Stick does much of what the Chromecast does by connecting to your geek’s HDMI port allowing them to watch Netflix, Amazon Instant Video (Chromecast won’t allow you to watch that), Hulu Plus, YouTube, music and more. Are you looking for a perfect socking stuffer? If so, look no further than the Kinivo ZX100 Mini Portable Speaker which is currently $13.99 at Amazon (normally $30.95). This ultra-portable speaker has a uniquely compact format where the speaker expands when you press on the top. ERCD or Expansive Resonator Construction Design provides very good low frequency output for the size and price. Finally, the speaker comes in a variety of cool colors from Purple to Pink to Blue to Red. 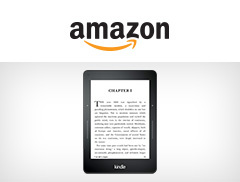 For less than $50 you can now get a Kindle for $49 at Amazon (usually $79) for your literature geek. You can store thousands of books and even borrow thousands of books with an Amazon Prime account. Another extremely geeky gadget for the gift guide – Philips Hue Lux Connected Home LED Starter Kit for $99.97 at Amazon. Seriously, a lightbulb? Yes! Not only will this light bulb replace your typical 60 watt bulb with only 9 watts, your geek gets total control over the light bulb from their smart phone or tablet. The Starter Kit has everything your Geek needs including a Bridge and 2 Light Bulbs. Every geek loves statistics and more and more geeks are into health. With a Fitbit Wireless Activity Wristband for $99.99 you can combine these loves by giving your geek the gift of quantifying themselves watching calories burned, steps taken, miles moved and sleep time. Do you often see your geek working on a iPad? This Pencil by FiftyThree is a digital stylus for most iPad devices for $59.95 and connects via Bluetooth Low Energy (or Bluetooth LE for the geek vernacular). 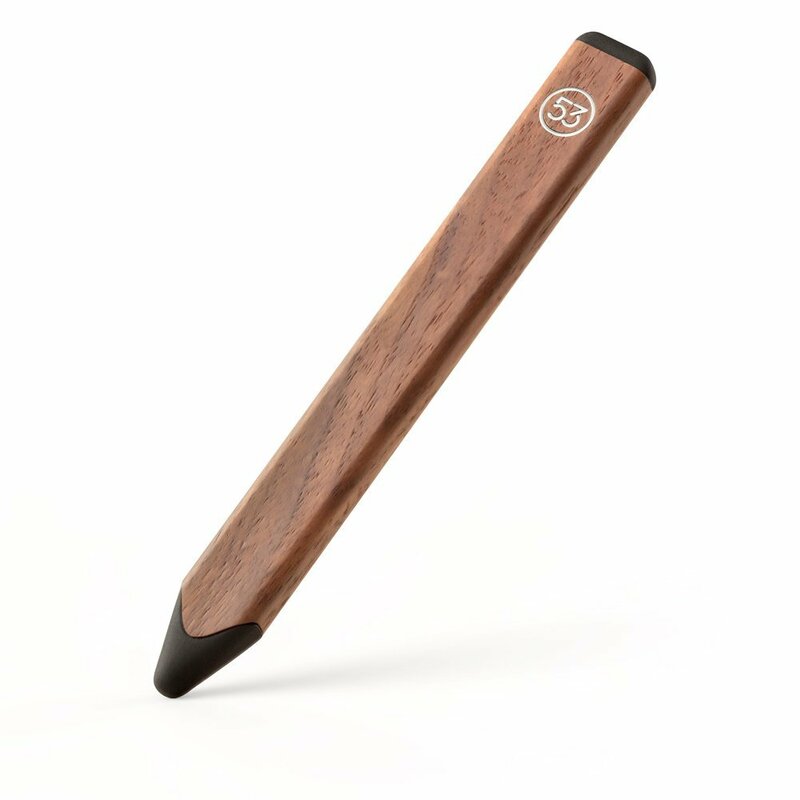 This is just an absolute beautiful stylus that will be a conversation starter for your geek. If you Geek doesn’t have an Amazon Prime account, gifting an Amazon Prime account is a no brainer with free two-day shipping, unlimited photo storage, and exclusive access to movies, music and Kindle books. You want to be a hero to your geek? Get them a Nest Learning Thermostat (for Geek cred call it a T-Stat) for $199 at Amazon (typically $249). Every geek wants a Nest as the T-stat learns your behaviors and automatically programs itself and saves energy by turning itself down when you’re away. If you Geek wants to be in charge they can still remote control the unit from their smartphone, laptop or tablet. Weather geeks absolutely love the Netatmo Weather Station for Smartphones which costs $149.00. Tracking the temperature, humidity, barometric pressure, indoor CO2 concentration and sound meter and providing real time notifications and graphs for data trending your geek will spend hours checking the data from the Netatmo Weather Station. If your geek has a place for everything, the Epson LabelWorks LW-600P for $108 brings the label maker up-to-date with bluetooth connectivity to connect your smartphone to the device to allow a truly portable label making experience. Talk about geeky, you can talk to your smartphone and the label maker will print out what you said. Too freaking cool! 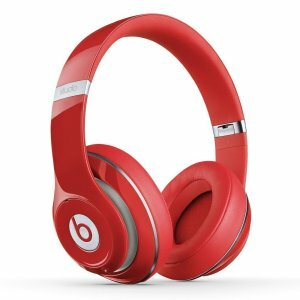 If your geek is a music geek, they’d love the Beats Studio Wireless Over-Ear Headphones for $275.00 from Amazon (list of $379.95). You get the great deep sound you hear in Beats Studio but in a wireless form factor! Plus you can can get these in red, blue or standard black with red. Personally, I also love my V-MODA Crossfade M-100 Over-Ear Headphones for $269.98 from Amazon (retail for $310) which is award winning, well designed and the main headphone used by many professional DJs. You can’t go wrong with either! Another great choice for the music geek in your life is the Sonos Connect Wireless Receiver for $349. This awesome technology easily turns your stereo or home theater into a music streaming Sonos System allowing you to wirelessly play your own music, online music services an Internet radio. The system is easily expandable without having to re-wire your house. I’ve really not been a fan of the Microsoft Surface until the latest version – the Microsoft Surface Pro 3 which costs $899. With it’s Intel 4th Generation Core i5 processor, 12” HD Touchscreen Display, 4GB RAM and 128GB storage running on Windows 8.1 Pro this tablet is powerful enough to replace your geek’s laptop too. The Surface Pro has finally arrived. Besides gifting a Amazon Prime account for $99, most geeks are particular so you might want to go with Gift Cards from places like Amazon, ThinkGeek, Hammacher Schlemmer, Sharper Image, or Apple iTunes. I’m a cat nerd, so people are always getting me cat gadgets- my favorite is my Litter Robot automatic litter box.